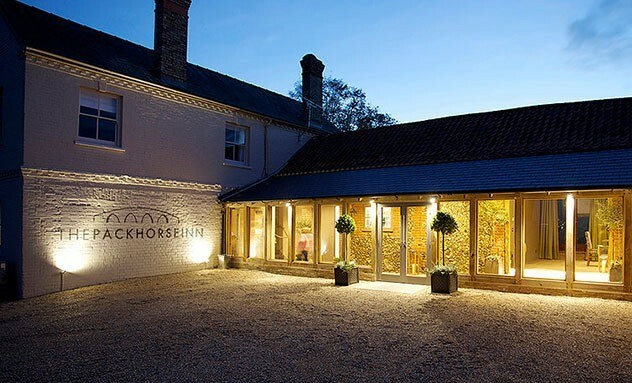 The Packhorse Inn is the bringing together of a number of strands to create both a traditional pub at the heart of the local community and a Suffolk tourism destination for a truly stunning dining and staying experience. Mediocrity is most certainly not on the menu or indeed any aspect of this eight bedroom country inn, which deliberately sets out to stretch the definition of ?pub? to the limit. It is the vision of former banker, Philip Turner who established Chestnut Inns. Awarded 3 AA Rosettes in 2014 making it currently the only restaurant in Suffolk with this status.